Baby Registry: Keep vs. Toss? Y'all I honestly don't know how a tiny human would need so many things, but baby registries are overwhelming and exciting all at the same time. I've done my research and put a lot of the major hitters on there like Sophie the Giraffe, swaddle blankets, and the Sleep Sheep. But I'm managed to avoid a few of the key components and I was hoping some of you can help a girl out. Here are some of the things keeping me up at night (besides the baby kicks... those are pretty sweet). Holy crap. So.many.options. I'm trying to be a minimalist considering we have a 2 bedroom house, and some of these swings just look huge! I'm just thinking about how many of these things will be sitting around taking up precious space. Where did your little ones sleep before you started putting them in the crib? 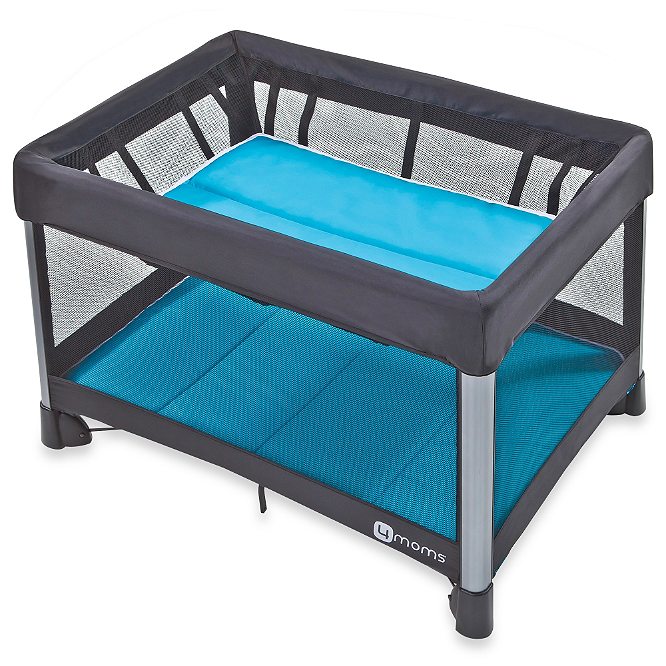 I've heard the Rock n Play is good to put next to the bed but did anyone use a regular bassinet or play yard? I think we've decided on the Britax B-Ready with the Bassinet as an add on. It's on the more affordable end but has tons of configurations which I like. We've only been able to see the B-Agile in the store though. Anyone else have another stroller you swear by or do I have any Britax fans out there? Thank you all for your help! I know there are a lot of new expecting mamas out there so hopefully this will help y'all too! Pack & play- AWESOME! She still sleeps in it at 4 months but we have been transitioning to the crib this week. We use the bassinet insert and have her beside our bed, it is so convenient and great for traveling. 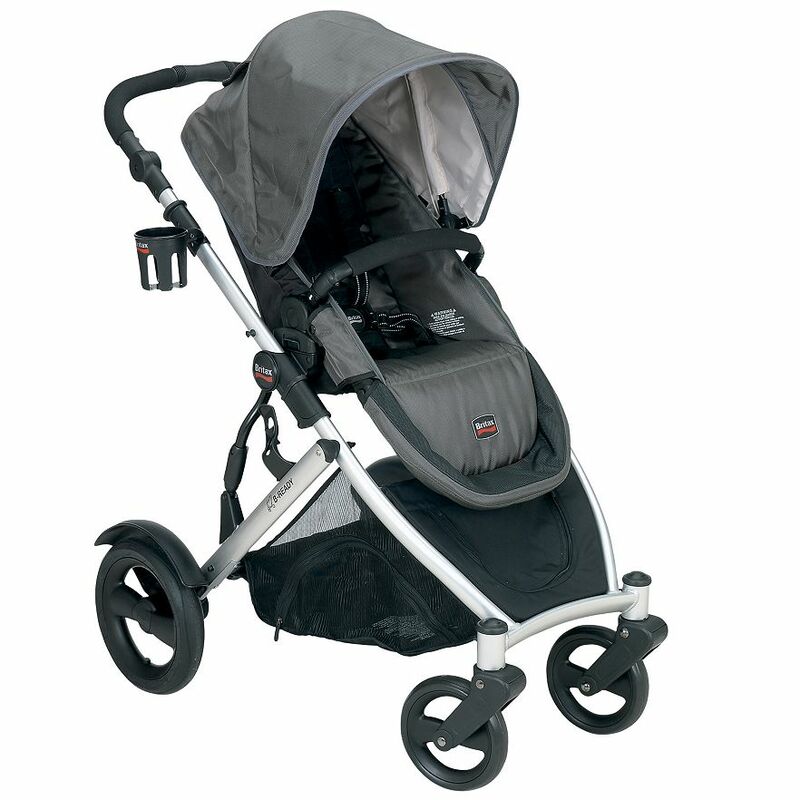 Stroller- We have the Britax B-agile and LOVE it! People said not to buy one because you never use it but ours is so easy to handle we use it ALL the time. People constantly comment on how easy it is to fold/unfold plus they look nice and sleek. Not so chunky. The only downside to Britax is you have to buy all of the accessories separate. We have limited space also so I tried to just have one accessory (?) to stick her in while I was cooking or needed a break! Also stock up on cloth diapers they are the only spit cloths worth anything! I'm not the same person as the comment above, just similar names! My friend has the B-Ready and really likes it. I'm in the same boat as you for all the stuff! We have a decent sized house and I still don't want to fill it with a million baby things! My same friend swears by her baby swing because it's the only thing her baby will sleep in, but at the same time I don't want my baby to only be able to sleep in a baby swing. I registered for a bouncer only and am hoping we can get by with just that! It's so hard to know what your baby will like and what you really need. Girl, you are speaking my language. All the stuff they need is SO overwhelming! We picked out the Britax B Agile Travel system in the store and loved it, but I'm wondering if we should go with the B ready since it can convert to a double. The bouncer/swing/lounger thing is crazy! I'm definitely coming back later to see comments, and let us know what you end up registering for! So crazy how much stuff you can get. I would want it all too! Definitely going to save this post for future reference!! I have heard that swings are life savers...as in I have seen them work their magic on my two nieces and nephew LOL! Hey Mama! Pack n' Plays are great, especially if you can get one with a bassinet insert. Unlike a regular bassinet that only usually holds up to 15lbs, you can use the pack n' play for a long time. It's also a great safe place for the baby to hang out and play. You can take it outside when you and the hubby bbq or while you shower the baby is safe, etc. Both of our babies have loved the swing. Rocking is extremely soothing to the little ones and the swing is a great option when you're body and arms are getting weary from walking them. It's also great that it forces them to sit up a bit, which if they are congested or experiencing tummy troubles, helps! We use the City Mini strollers and love them but have heard nothing but great things about Britax as well. Don't stress too much though! At the end of the day all that sweet baby needs is you! :) Best of luck!! *Your not you're! Mama brain! I am so glad you posted this too! I just registered for everything thinking we needed it all! We have a 3 bedroom house, one story so I don't want to clutter our house with too much stuff! I have heard that swings are great in the beginning for nap times, so I will have to deal with that. Other than that, we have a bouncy seat and a pack n play with a vibrating/rocking seat and changing station on top. I am planning to use this instead of a bassinet in the beginning. Plus, then we can use the pack n play when he gets older. Who knew a little human needed so much stuf!!! Oh, girl. I'm in the same boat. It's so overwhelming. What to register for vs. what not to register for. I've been enlisting my friends with kids for their input. One even sent me a spreadsheet -- yes crazy right? I can say we decided on a play yard/ pack n play. As we feel it's a bigger bang for the buck. Gook luck. we used the Rock N Play for the first few months, next to the bed.... it was awesome. and very easy to move from room to room. WE also used a swing... my lil guy loved it! it was always out in our family/living room and definitely used. I bought the baby wrap (not a moby but similar from buy buy baby), but its hard, hot and only really useful when they are tiny. I never got a pack n play, however, this time around on baby #2, I will be getting one. I think they are totally useful! and keep the baby contained and safe! We got the UPPA BABY Vista stroller, and love it. 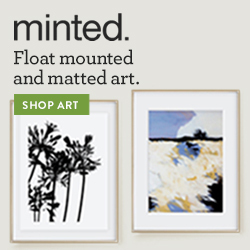 while it's on the pricey side...we've definitely got our use! However, I didn't use the basinet that came with it like I thought i would. maybe only 5 times total. When we have kids I know I will be the same way! I get anxiety just thinking about straightening up another family members mess! You will make the right choice for your family dont worry too much! Grayson sleeps in his Rock N Play at night and loves it. He's now sleeping 7-9 hours a night in it at 8 weeks old. We only have the snuggabunny bouncer and he loves that too (usually takes naps in it). I hear the MamaRoo is amazing but it was too pricey for us right now. I might get it for the next child though. We have the City Mini GT stroller with the car seat adapters and I love it. It folds easily and light weight enough that I can carry it easily. The car seat (we have a britax) snaps right in and I can maneuver it easily with one hand. Honestly, there are so many things out there that people say you "need" for a baby and you really don't need that much. For the first couple of weeks your baby is going to want to spend the majority of the time snuggling in your arms (you will want that too). Don't go crazy on expensive products or too much of something.... your baby won't know the difference! We loved the rock n play! One of my cousins gave me hers a month or so after the little guy was born and I wish I had had it the whole time. Before we had that I used a Moses Basket and the cradle from when I was a baby; but the rock n play took the cake. And pretty much that's were all naps and night time sleeping went on. We got a small swing and hardly used it- he didn't really care for it. But there really is no way to know what your baby will like or not like. There is so much to look through and figure out. I hope you are able to narrow it down!! Have fun preparing for baby! Swings are big and they do take a lot of room but ours was a godsend! Our daughter LOVED her swing and used it all the time. It was so helpful to have a safe place to put her that she loved. She would sleep in it all the time for her naps. Now, even thought it's tempting to get a smaller and cheaper one I have noticed that babies that love their swings had nice big deluxe ones. Anytime I hear someone saytheir baby didn't care for the swing got them small ones with no bells and whistles. To me, the swing was literally the most important baby item we had. Get one that plugs in so you don't go though batteries like crazy! Ours was the Snug a bunny swing. The rock n play was our savior for nighttime sleep!! I also used to put Miller in it when I showered or had to do stuff around the house. It's super light and easy to move and they make them now with a vibrating/music. I would say if you don't want too much stuff to get the rock n play and move it from room to room upstairs. Downstairs we kept the swing and while it's an eyesore and huge we couldn't have lived without it either! The thing about babies is that you'll never know what they like until they're here!! We also have a bouncer but Miller hated it so we never used it. I have a friend who had to have the mamaroo and now her baby hates it so she's looking into a swing. We tried to put Miller in the pack n play for sleep but he hated it- like his crib I think it was just too roomy and big when he was tiny. He liked being snuggled up. The PnP is great for traveling though and now that he's older has no problem sleeping in it. I think the Britax stroller is a great option but you might not need the bassinet because if they baby is asleep in their car seat you're not going to want to move them to the bassinet and most strollers have the car seat attachment option. Just a little unsolicited advice :) Most of my girlfriends who got the bassinet attachment said they maybe used it 3 or 4 times. I always found the car seat attachment great and easy to use. Also if you think all the gear is bad just wait until the big toys start coming and there all bright obnoxious colors! We have the B-Agile and love it. We just used the car seat adapter and put it right on there too. When we have a second though I plan to get the city select because I like how both kids get a view rather than one sitting underneath the other. When we had noah we were in a two bedroom apartment so I know your concern on not buying too much. We had a regular bassinet and next time we plan to get the rock n play until they go to the crib. Originally we didn't buy a swing because of space but ended up getting one a month in and I'm so glad we did. Noah was a november baby and I didn't feel the need for the Muslin blankets because I wanted something thicker... I think they are great for summer babies though. Instead I liked the Velcro swaddle blankets and carters or pbkids receiving blankets (I had a spitter). If you have any other questions I'm happy to share my opinion but also don't want to be that annoying person ;). I'm a minimalist mama too, to a 5 month old. The Rock N Play was where he slept until recently - it's a great, lightweight bassinet that has many functions and the vibration was great when he was a newborn. A swing is MANDATORY! Miracle worker, that thing. Get one with a mobile and that has the option to plug into the wall - you don't want to run out of batteries on that thing. In terms of a stroller, get as lightweight as you possibly can, and I recommend getting the travel "system" so everything works together. You'll want the car seat to be able to click right in to the stroller so you don't wake the baby. 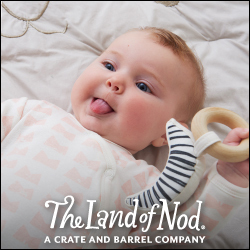 IMO, a bassinet attachment is a waste because you won't want to transfer them from thing to thing. We have the Graco Click Connect 35. The car seat is only 7 pounds and I can close up the stroller with one finger. I looooooove it! We have fancier, "stylish" strollers (BOB, Uppababy) that I never use because the Graco is so fantastic and easy. And whatever you do... Get the lightest weight car seat possible. It's absolutely crazy how heavy that thing gets after two months, and it gets heavier and heavier! I am definitely echoing a few of the comments above - starting with we just bought an Ergo and love it!! We also had the Moby Wrap early on but the 30 feet of fabric was so overwhelming! And definitely next time around want to try out the Solly baby wrap because so many people swear by them! As far as some of the other things go, I would say the Rock N Play is a MUST. My daughter slept in it by our bed until she was 1 month old. After that we were ready for her to be in her room which she slept much better there but was not ready for her crib. She slept in the RNP until she was almost 4 months old! And when I was on maternity leave and she was small, I would carry it downstairs and she would hang out in it in our living room. We even would take it to our family's houses for her to hang out in, and also hotels to sleep in overnight. She's almost 6 months old now and we still use it occasionally when she's awake and she'll hang out when I'm getting ready for work. Someone let us borrow a very pretty wooden bassinet/cradle and we never used it once. We only used the Pack N Play downstairs for the changing station part of it while she was a newborn. Honestly, they are so incredibly frustrating to put together and tear down. We packed it up at 2.5 months and haven't used it since! Now that 4moms play yard is a differently story! I think we may need to invest in one of those for baby #2. That thing is SWEET!! We are also in a 2 bedroom house so I understand your concern on having too much. We were gifted a mamaRoo at our baby shower and we absolutely love it!! She is almost 6 months and will still nap in it at times. 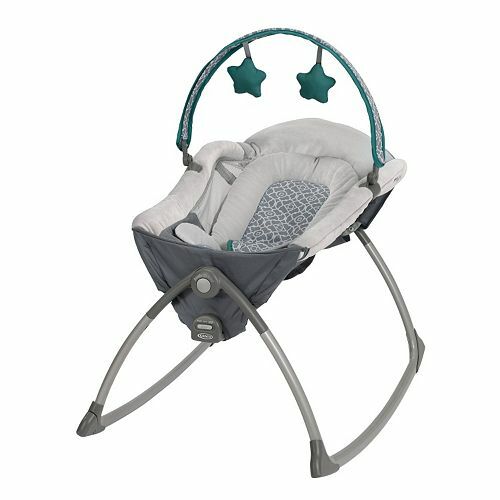 The rockaRoo looks pretty cool too, and I think a little lighter than the mamaRoo. I don't feel like the mamaRoo takes up too much space in our small house, it's pretty cute actually. Britax is an awesome brand for a stroller! I think you are smart for choosing the B-Ready since you can add a second seat later on when needed. We have the B-Agile travel system and absolutely love it (minus the fact that we can't turn it into a double stroller when baby #2 happens someday)! It's so easy to just click the car seat in and go - we use it all the time! Including our weekly Target runs. :) The B-Safe car seat is a little bit heavier (9.9 lbs) but I feel like it is VERY safe. Another item to possibly check out would be the 4moms infant tub - it tells you when the water is at a safe temperature and it's very light for easy storage in our tiny bathroom! I wish I had done my research beforehand. We registered for a big bulky "spa" tub that broke after the first time we used it and then ended up ordering the 4moms tub after the fact.